Jeff Moody records Rich's "Somewhere" and "Hatching of the Heart" for his "Beyond All This" album. "25 Songs of Christmas Volume 2" is released on Sparrow which includes Rich's "O Come All Ye Faithful", performed by Debby Boone (written in the late 70's and originally titled "In Worship of the Coming King"). "If I Stand" debuts on the AC Charts. It would spend 16 weeks on the chart and peak at #3. Rich records demos for "Waiting", "Hope to Carry On", "Hatching of a Heart", "Alrightokuhhuhamen", "Always Here With Me", and "Somewhere"
Rich records demos of the following songs: "A Heart Set Free", "One Thing", "While The Nations Rage", "Higher Education and the Book of Love", and "Bound To Come Some Trouble". Rich Mullins performs in Marion, IN. as part of the "Winds of Heaven" Tour. Kathy Sprinkle: "before a concert, artists, being the eccentrics they are, do weird things...to get pumped up or to take their minds off things - to ease their nerves, if they have any. Rich Mullins performs in Lynn, IN. as part of the "Winds of Heaven" Tour. Rich Mullins performs in Phoenix, AZ. as part of the "Winds of Heaven" Tour. Rich Mullins performs in Wichita, KS. as part of the "Winds of Heaven" Tour. Rich Mullins performs in Emporia, KS. as part of the "Winds of Heaven" Tour. Rich Mullins performs in Albuquerque, NM. as part of the "Winds of Heaven" Tour. Rich Mullins performs in Houston, TX. as part of the "Winds of Heaven" Tour. 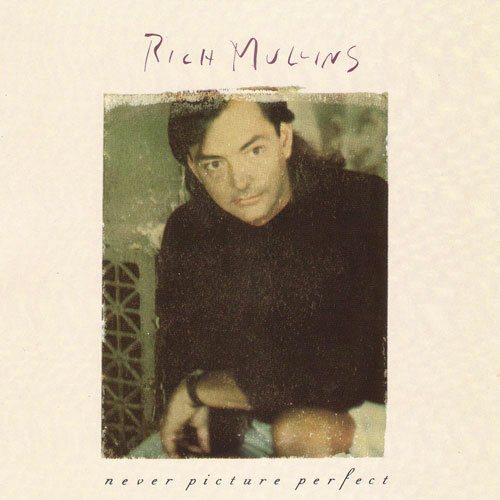 Rich Mullins performs in Dallas, TX. as part of the "Winds of Heaven" Tour. Rich's "Awesome God" is nominated for a Dove Award for "Song of the Year." Three young punks attempted to mug Rich's Producer Reed Arvin. Due to Reed's size, he was able to go home with his money and sent three kids home to ponder the physical price to pay for their career choice. Rich hosts the 20th Annual Dove Awards during GMA week in Nashville, TN. 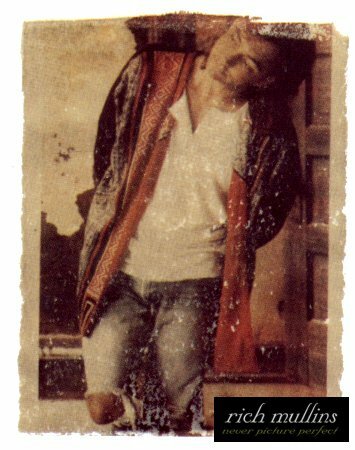 Tony Melendez releases Never Be The Same which includes a song that was written by Rich and Justin Peters in the early 1980s, entitled "Always Here with Me." "Such A Thing As Glory" debuts on the AC Charts. It would spend 8 weeks on the chart and peak at #28. Rich Mullins performs in front of 25,000 people in Wichita, KS at the first ever "River of Life" in conjuction with Wichita's 16th Annual River Festival. Rich performs with Rene Garcia and Billy Sprague at Central Christian Church - a benefit for Kathy Sprinkle's ministry. Rich Mullins performs in East Sparta, OH at the Bear Creek Amphitheatre for Alive '89 as part of the "Winds of Heaven" Tour. Rich Mullins performs in Rockford, Illinois. as part of the "Winds of Heaven" Tour. Rich Mullins performs in Milwaukee, WI. as part of the "Winds of Heaven" Tour. Rich Mullins performs in Chicago, Illinois. as part of the "Winds of Heaven" Tour. Rich Mullins performs in Danville, Illinois. as part of the "Winds of Heaven" Tour. Rich Mullins performs at Community Christian Church, Naperville, Illinois. as part of the "Winds of Heaven" Tour. Rich Mullins performs in Carbondale, Illinois. as part of the "Winds of Heaven" Tour. Rich Mullins performs in Evansville, Illinois. as part of the "Winds of Heaven" Tour. Rich Mullins performs in Nashville, TN. as part of the "Winds of Heaven" Tour. Rich Mullins performs in Memphis, TN. as part of the "Winds of Heaven" Tour. 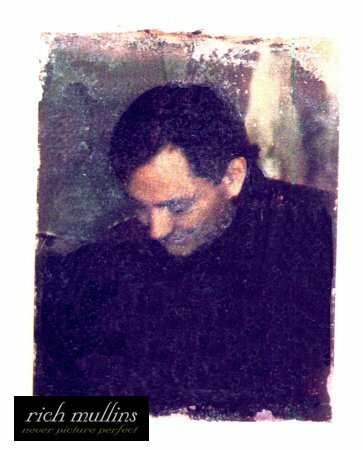 Rich Mullins performs in Tupelo, MS. as part of the "Winds of Heaven" Tour. 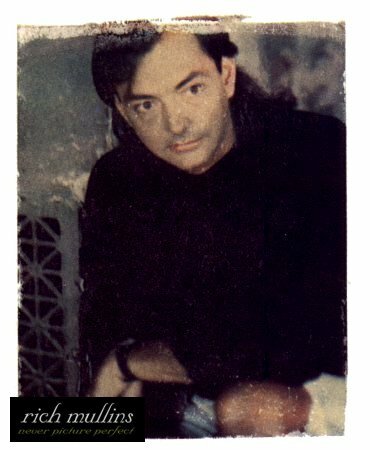 Rich Mullins performs in Jacskon, MS. as part of the "Winds of Heaven" Tour. Rich Mullins performs in Little Rock, AK. as part of the "Winds of Heaven" Tour. Rich Mullins performs in Huntsville, AK. as part of the "Winds of Heaven" Tour. Rich Mullins performs in Lincoln, IL. as part of the "Winds of Heaven" Tour. It is likely that "Boy Like Me Man Like You" was written at this time. Rich, on "Boy Like Me, Man Like You": (This was the first song that he and Beaker wrote together. It was started in Lincoln, IL and finished while sitting on the side of a hill in St. Louis, MO.) "It was a conversation that lasted about three days. You know, we were talking about the apostles, and what it would be like to be one of the apostles and try to understand that Jesus Christ was the Son of God, that He was the Only Begotten. You know what I mean is? And you're basically... wrestling there with the doctrine of the Incarnation. And then we were talkin' about Mary; and how weird it would be for her. And then we were talkin' about, "Okay, I wonder if Jesus had any friends when he was a kid? ", and "What would it be like to be his friend? ", and "What would it be like to have him in class with you?" "What would it...?" And out of all of that, we ended up coming around to "Boy Like Me, Man Like You." And one of the things that I think really hit us was that, it seems wonderful that God, who is from eternity to eternity, should come and dwell in time. And that He Who is Spirit should become flesh. That, even wilder than that, is that once we were nothing, and we were made. And the fact that we are given the opportunity to live, however briefly we get to live... it's kinda wonderful. And life is something that I hope we can be grateful for. Rich Mullins performs in Tulsa, OK. as part of the "Winds of Heaven" Tour. Rich Mullins performs in Oklahoma City, OK. as part of the "Winds of Heaven" Tour. Rich Mullins performs in Abilene, TX. as part of the "Winds of Heaven" Tour. Rich Mullins performs in Alberquerque, NM. as part of the "Winds of Heaven" Tour. Rich Mullins performs in Mesa, AZ. as part of the "Winds of Heaven" Tour. Rich Mullins performs in Ventura, CA. as part of the "Winds of Heaven" Tour. Rich Mullins performs in Santa Maria, CA. as part of the "Winds of Heaven" Tour. Rich Mullins performs in Salenas, CA. as part of the "Winds of Heaven" Tour. Rich Mullins performs in Los Angeles, CA. as part of the "Winds of Heaven" Tour. Rich Mullins performs in Las Vegas, NV. as part of the "Winds of Heaven" Tour. Rich Mullins performs in Denver, CO. as part of the "Winds of Heaven" Tour. Rich Mullins performs in Colorado Springs, CO. as part of the "Winds of Heaven" Tour. Rich Mullins performs in Garden City, KS. as part of the "Winds of Heaven" Tour. Rich Mullins performs in Shreveport, LA. as part of the "Winds of Heaven" Tour. Rich Mullins performs in Baton Rouge, LA. as part of the "Winds of Heaven" Tour. Rich Mullins performs in Joplin, MO. with Avenue G.
"Ready for the Storm" debuts on the AC Charts. It would spend 10 weeks on the chart and peak at #11. Rich Mullins performs in West Lafayette, IN. with Avenue G. as part of the "Winds of Heaven" Tour. Rich Mullins performs in Lansing, MI. with Avenue G. as part of the "Winds of Heaven" Tour. Rich Mullins performs in Ann Arbor, MI. at Concordia College with Avenue G. as part of the "Winds of Heaven" Tour. Rich Mullins performs in Saginaw, MI. with Avenue G. as part of the "Winds of Heaven" Tour. Rich Mullins performs in South Bend, IN. with Avenue G. as part of the "Winds of Heaven" Tour. Rich Mullins performs in Indianapolis, IN. with Avenue G. as part of the "Winds of Heaven" Tour. Rich Mullins performs in Cincinnati, OH. at Cincinnati Bible College with Avenue G. as part of the "Winds of Heaven" Tour. Rich Mullins performs in Columbus, OH. with Avenue G. as part of the "Winds of Heaven" Tour. "Boy Like Me / Man Like You" and "Where You Are" are performed during rehearsal and introduced to Avengue G as "new songs." Rich Mullins performs in Fairfield, OH. with Avenue G. as part of the "Winds of Heaven" Tour. Rich Mullins performs in Pittsburg, PA. with Avenue G. as part of the "Winds of Heaven" Tour. Rich Mullins performs in Bethlehem, PA. with Avenue G. as part of the "Winds of Heaven" Tour. Rich Mullins performs in Philadelphia, PA. with Avenue G. as part of the "Winds of Heaven" Tour. Rich Mullins performs in Central Wisconsin, WI. with Avenue G. as part of the "Winds of Heaven" Tour. Rich Mullins performs in Des Moines, OH. with Avenue G. as part of the "Winds of Heaven" Tour. Rich, on "My One Thing": "For me, one of my greatest accomplishments that I'm most proud of is 'My One Thing,' which was written and performed on a hammer dulcimer, and went to Number One on pop Christian charts. How many hammer dulcimer songs are there - and this goes to Number One. That's weird. The track became Rich's third #1 single. "While the Nations Rage": This track became Rich's fourth #1 single. Rich Mullins performs in Kingsport, TN. with Avenue G.
Rich Mullins performs in Kingsport, TN. with Avenue G. as part of the "Winds of Heaven" Tour. Rich Mullins performs in Wichita, KS. with Avenue G. as part of the "Winds of Heaven" Tour.